4C’s Trailers Direct is your one-stop-shop for all your trailer needs including a quality selection of new and used dump trailers. Start your search by browsing our inventory online and don’t hesitate to reach out with any of your question. 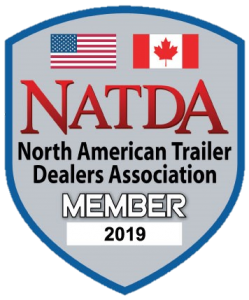 With over 30 years of experience we’re one of Alberta’s most trusted trailer experts. There are many different models and axle configurations available. Allow us to help you get into the model that is best suited to your needs. From single axles, to tandem duals, to drop n go bin systems we have a dump trailer that will work as hard as you do. We are in it for the long haul. Why Choose A Dump Trailer? Tire of shovelling? You need something convenient, reliable, and affordable to help you get the job done whether it be a job site, farm, or industrial application. Dump trailers can be easily hooked up to a pick-up and are available in different sizes to meet your requirements. No matter which type of dump trailer you’re after, you’ll always find a quality selection with the knowledgeable staff at 4C’s Trailers Direct. We have two locations in High River and Lacombe but we serve customers across Alberta including Edmonton and Calgary dump trailer shoppers.